Kurnool District Engaging of Madarasa Vidya Voluntrees on Contract Basis for the year 2015-2016. 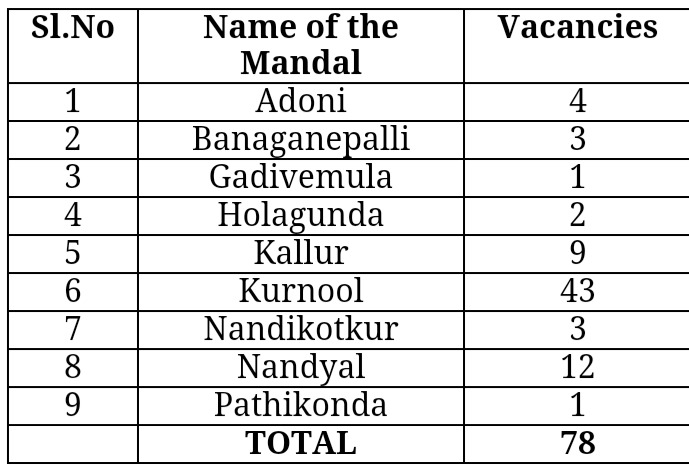 Eligibility Candidates Apply Online applications for Madarasa Vidya Volunteers in KURNOOL District Madarasa Schools . Intermediate Pass +D.Ed (or) (Bachelor of degree) +B.Ed. 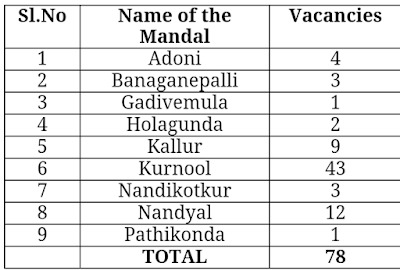 Candidates who are native/ resident mandal are eligible. 2.Honorarium : 5000/- Per Month. The Vidya Voluntries selection will be done purely on the contrac basis of merit (Marks obtaind ) interermediate Pass +D.Ed (or) (Bachelor of degree ) + B.Ed.). Date of Notification : 24.10.2015. Scruitiny of Applications : 02.11.2015.